This is our full walkthrough for the Divine Child's quest in Sekiro: Shadows Die Twice. You might not know it, but there's actually a huge quest you can undertake for the Divine Child in Shadows Die Twice, which can actually impact the ending of the game. In this Sekiro Divine Child walkthrough, we'll be detailing how you can go about obtaining multiple items needed to complete this quest line, as easily as possible. In the extended guide below, we'll be walking you through how to complete the Divine Child's quest in Sekiro: Shadows Die Twice. While it might seem like a side quest in the game, you actually need to complete this quest is you want to see what is arguably the best ending in the game. For more on that, head over to our Sekiro endings guide. Unfortunately, this ending is actually missable. 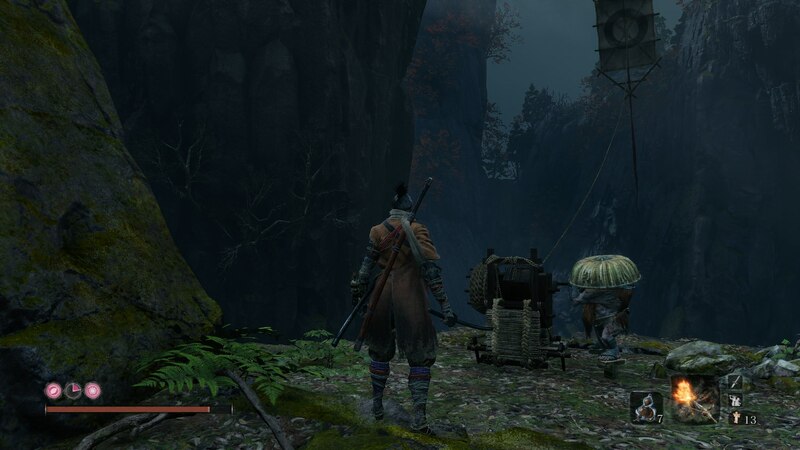 If you didn't speak to the old woman NPC on the bridge leading into Ashina Castle, just next to the Ashina Castle Sculptor's Idol, you can't obtain the Holy Tome: Infested item, which you'll need in the steps below. Obtain the Holy Tome: Infested item. You can get this from either the monk next to the Main Hall Idol in Senpou Temple, or if you've already beaten Genichiro Ashina atop Ashina Castle, you can find it in a pool of water near the Temple Ground Idol. Go to the Divine Child, who you'll meet after you beat the Folding Screen Monkeys, and she'll give you rice. You need to travel away using an Idol, eat the rice, travel back to the child, and get more rice from her. Do this on repeat until the child tells you that she is sick. Buy some Persimmons from the Memorial Mob near the Shugendo Sculptor's Idol, and take them to the Divine Child. The Divine Child will now give you some rice specifically meant for Kuro. Take the rice to Kuro in his room. Travel back to the Inner Sanctum Idol, and the Divine Child will have moved to the area in which you fought the Folding Screen Monkeys. Talk to the Divine Child, and she'll request another Tome. You can find this Tome in Senpou Temple, in the cave that's right near the Main Hall Sculptor's Idol. Bring this new Tome to the Divine Child, and she will request two fruits from giant snakes. Travel back to the very first Senpou Temple Idol. When you have the Puppeteer Ninjutsu Skill unlocked, head over to where the kite is on the lower ledge. Backstab the rat enemy, and press the right bumper while you're in the execution animation to temporarily make the rat your ally. The rat will now go over to the mechanism for the kite, and raise it up, holding the kite in place for you. Now run up the main path in this area, past the evil monks, and you'll eventually come to a wooden rafter that you can grapple up to. Jump up into the building from the wooden beam, and follow the path round, dodging more evil monks as you go. You'll come to a giant tree that you can grapple up to. At the very top of the giant tree, you can use the kite as a grappling point to reach a new area. On the new platform descend down to your right, and head through the cave that you'll come to. 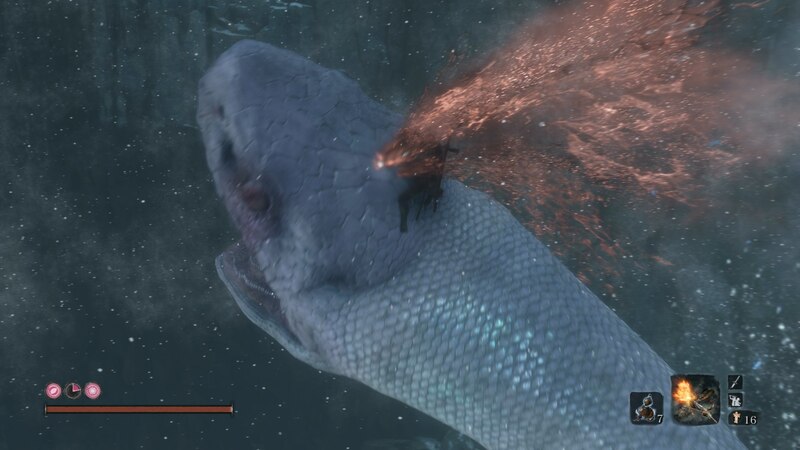 At the end of this new pathway, you can drop down and slay the first giant snake, by killing it with two successive Deathblow attacks in a row. Now travel to the Riven Cave Idol, and head straight past the poison pools area. Behind the Memorial Mob that you'll eventually come to, there's a cave that you can head through. You can eventually drop down to the left, and once again use the Puppeteer Ninjutsu Skill, this time on a monkey to distract the snake. You can now grapple up and head through the nearby building. Now drop down on the snake, repeating the same Deathblow attacks from last time to slay the beast and grab the fruit. Travel back to the Divine Child once again, and present her with the two fruit items. Rest at the closest Idol, as many times as necessary, until the Divine Child eventually gives you the Frozen Tears item. 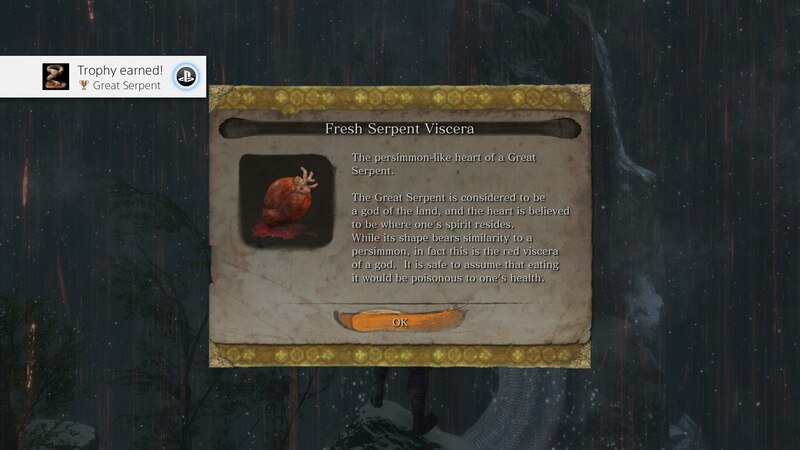 With the Frozen Tears item in hand, you can proceed forward through the rest of Sekiro, and obtain the "true" ending once you've beaten the final boss of the game. Again, for instructions on how to achieve any of the different endings of Shadows Die Twice, you can head over to our Sekiro endings guide.